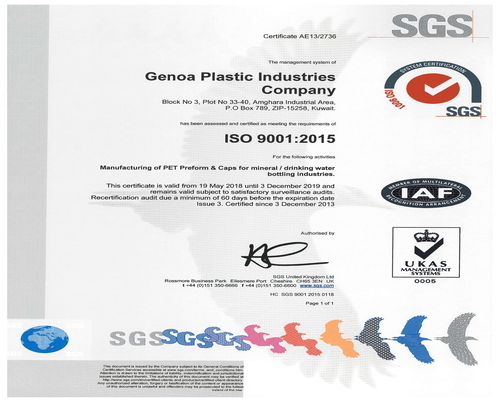 Genoa Plastic Industries are in compliance with Regulations ISO 9001:2015, FSSC 2200 4.1V, Quality Mark Kuwait, SASO Compliance for Bottling Water guidelines (cGMP) and our QC department ensures that all of our practices will exceed the mandatory industry regulation standards. Each and every product manufactured undergoes stringent testing and validations before it is introduced and included in our product range. We enlisted in various top-rated world class bottling industry giants for checking and validating our promise to customers. 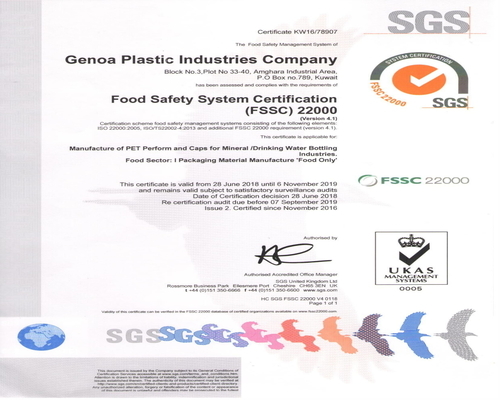 Each manufacturing and testing facility is 100% compliant with local and international standards. Fully equipped laboratory with all facilities and are essential to GPI’s requirement of Packaging superiority. GPI’s highly trained lab analysts and technocrats provide Chemical, Analytical, Physical and Microbiological lab testing and services from raw materials to finished products. Our in-house World class equipments and laboratory testing will prove that our quality meet customers’ needs. 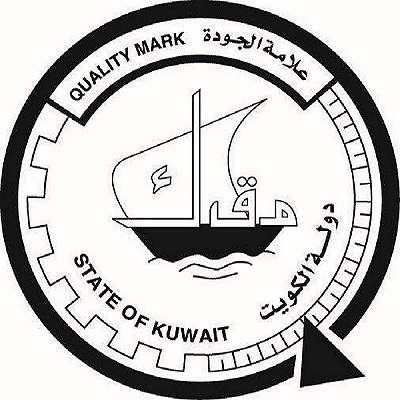 Quality Mark Certificates Kuwait Govt. All instruments are calibrated periodically by International & local certifying agencies to ensure accuracy of results.